The Clowes Fund board hired Beth Casselman in 2000 as the first professional leader of this family foundation that was established in Indianapolis in 1952. Beth’s career in philanthropy spans more than 25 years following a stint in public relations. She majored in journalism and earned a Bachelor of Science from Butler University as well as professional certificates from the Grantmaking School at Grand Valley State University and the Fundraising School of Indiana University. In 1992, she became the founding director of the Community Foundation of Boone County (CFBC); 15 years after leaving CFBC she returned to serve on its board, ending her term as board chair in 2016. 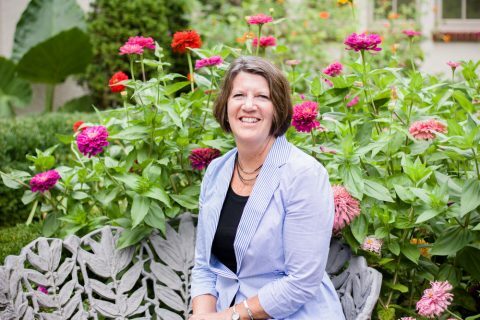 Beth has served on the National Center for Family Philanthropy Friends of the Family advisory committee and the Asset Funders Network Indiana Chapter steering committee. She is past chair of the Indiana Philanthropy Alliance (IPA) board, United Way of Central Indiana’s Boone County advisory board and has served on executive search committees for IPA, the CFBC and Boone County’s United Way. Beth has contributed to a variety of philanthropic conferences and publications. She was honored in 2012 to receive IPA’s Hazelett Award for Leadership in Grantmaking which recognizes integrity and mentoring of other professionals.